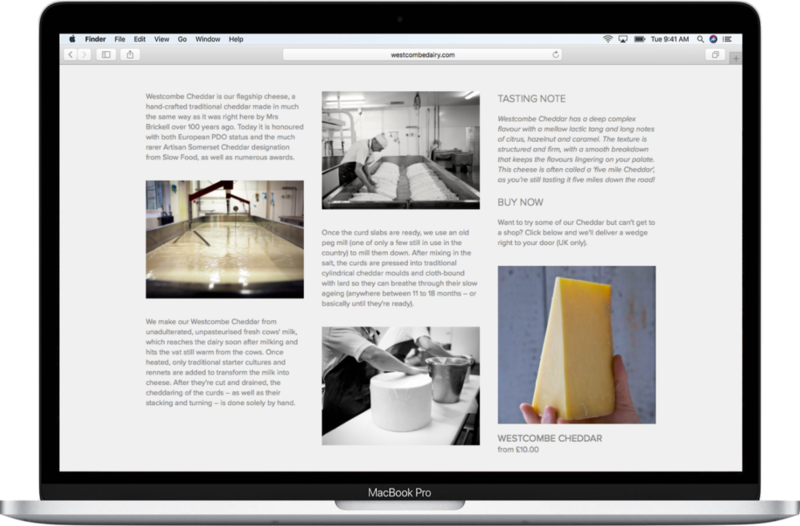 Westcombe Dairy are one of our best artisan cheesemakers. I’ve worked with them since 2013, initially rewriting their old website, then building them a new one, and recently creating a second site for their culture supplies business. My work for Westcombe is all about letting the integrity of what they do shine though. This has involved copywriting, web design, blogging, video editing, photography… even making toasties at their cheese & beer festivals.